Scope of Work: Design, Financial Modeling, Sponsorship Review and Analyses, Procurement, Construction Oversight. Product Categories: LED Display Systems, Scoring, Integrated Digital and Static Signage, Control Room, Sound Reinforcement System. A “boxcar” center hung design for maximum fan impact. 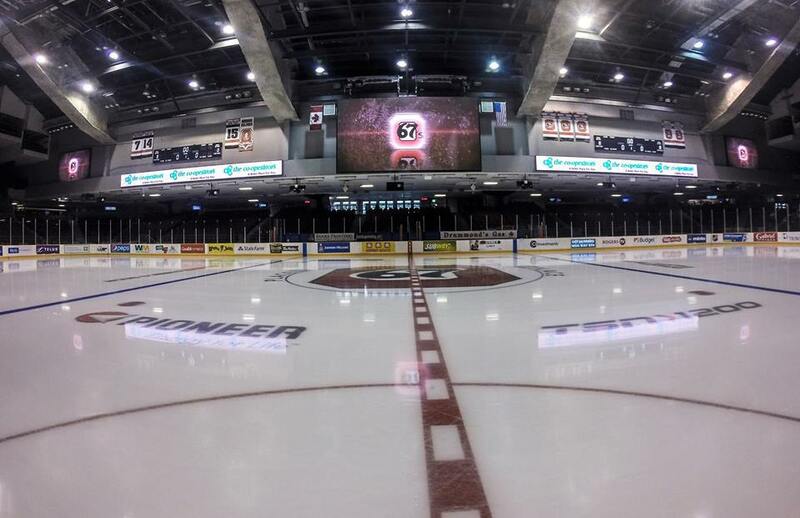 Six high definition LED screens (sideline, end and underbelly) on a custom, piston-inspired structure. Internally illuminated venue ID signage. Structural accent lighting system. 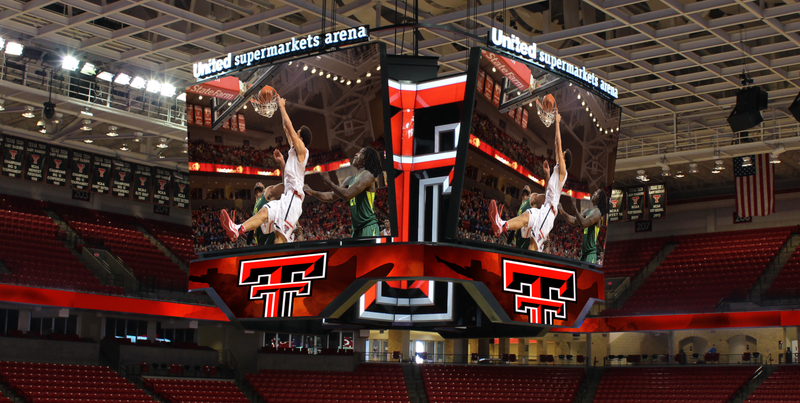 Twenty-one times sharper and three-times larger than its predecessor, the giant scoreboard boasts 2,896 square feet of active display area. 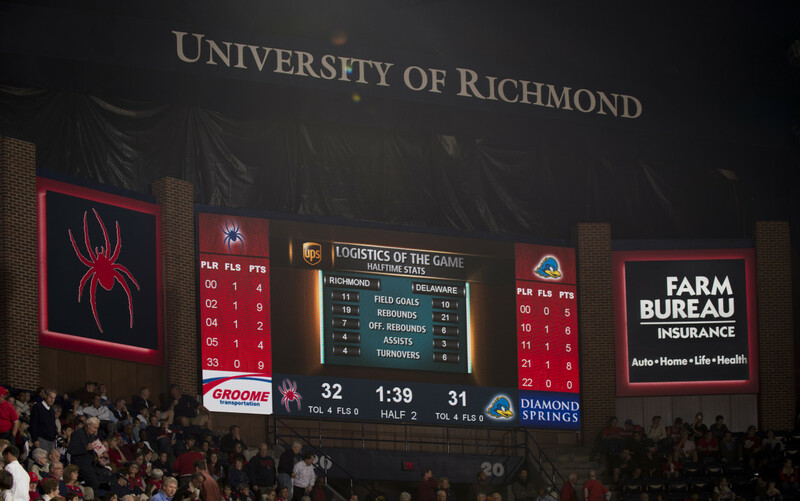 Upper-level end zone boards with game statistics. 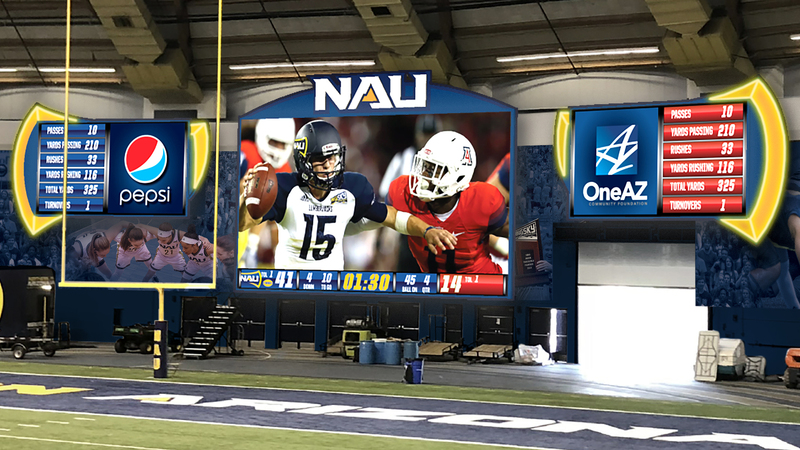 360 degree LED ribbon boards encircling the lower-level and upper-level fascia, vomitory/tunnel entrance digital displays, exterior marquee, and an interstate billboard. Control room design and engineering (equipment selection, signal flow conceptual drawings, user workflow assessment). Audio upgrades (relocation of speakers to accommodate new center hung design, re-installation and re-tuning). Palace adds huge new scoreboard, now can Pistons light it up? No telling yet if the Pistons will be better this coming season, but their scoreboard will definitely be bigger. A huge 60-foot video scoreboard is being installed at the Palace. 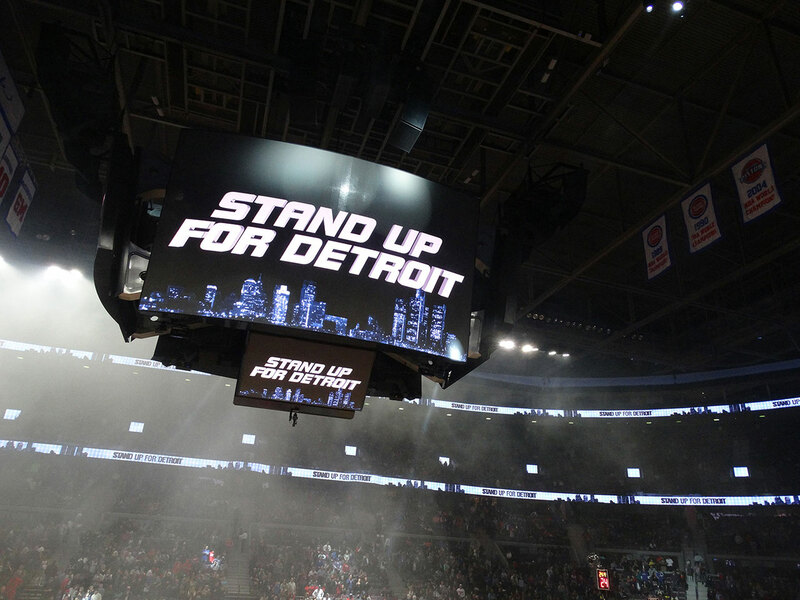 There’s no telling yet if the Detroit Pistons will be any better in Tom Gores’ fourth season as team owner, but they’ll definitely be bigger on a massive new high-definition scoreboard. The 56,000-pound scoreboard with six video screens, triple the size of the 15-year-old system it replaces at the Palace of Auburn Hills, is the capstone of a three-year, $40-million renovation by Gores and Platinum Equity, which acquired Palace Sports & Entertainment (PS&E) about three years ago. In an interview with the Free Press last week, PS&E president Dennis Mannion and other officials shared renderings of the scoreboard and details of the renovations that they aim to complete by the Pistons’ Nov. 1 home opener…The Pistons’ new rectangular scoreboard is not only huge — 60 feet wide and 22-feet high from foul line to foul line — but also boasts video displays 21 times sharper than its predecessor. Will Ellerbruch, national sales manager for Daktronics, manufacturer of LED displays in the Palace and 70% of U.S. pro sports team venues, said the new digital installations in Auburn Hills feature not only state-of-the-art technology but also some distinctive features. 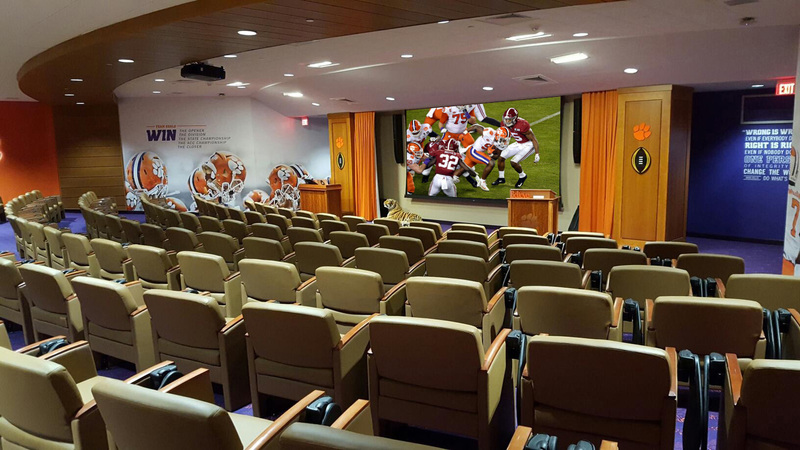 Thirty LED screens over tunnels to the concourses will carry both ads and player and team statistics. “I haven’t seen that in other venues,” Ellerbruch said. 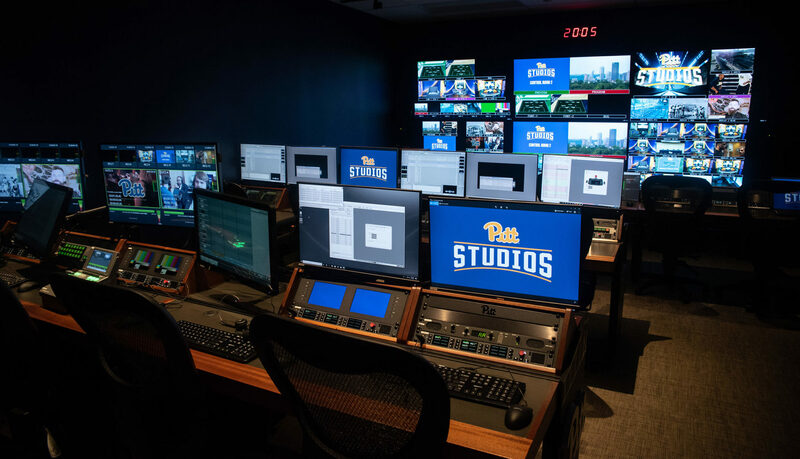 And in addition to four huge horizontal screens on the giant center-hung scoreboard, the Palace360 system will feature two underbelly video screens that the teams and courtside fans will be able to view from below. 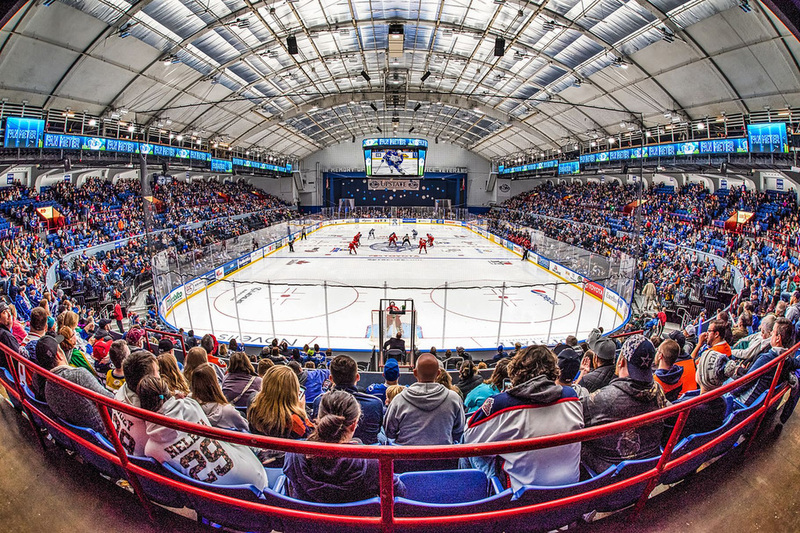 “I think the Oklahoma City Thunder arena and Madison Square Garden are the only other two with that feature,” Ellerbruch said.